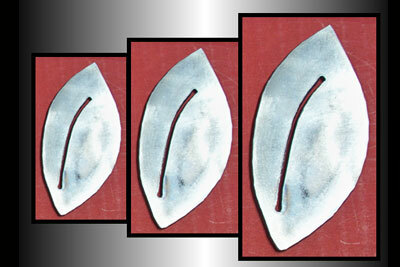 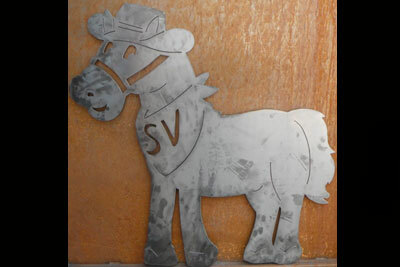 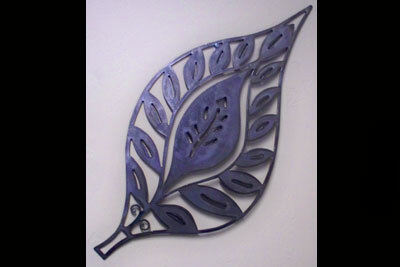 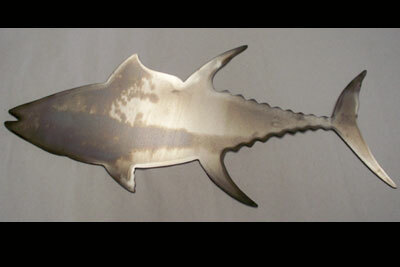 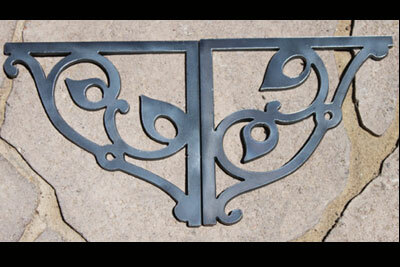 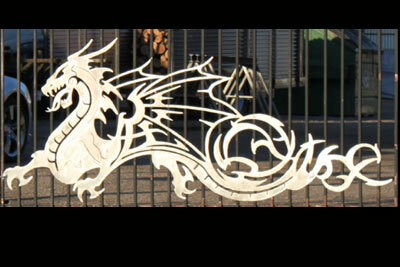 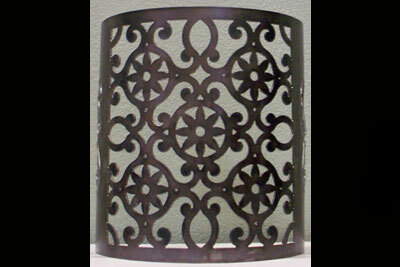 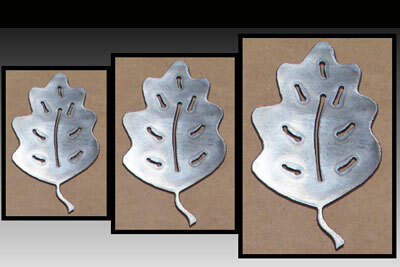 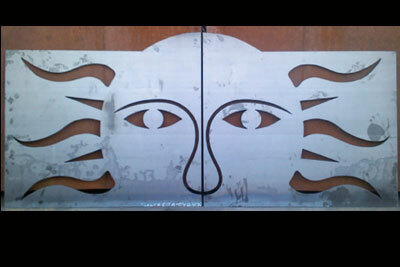 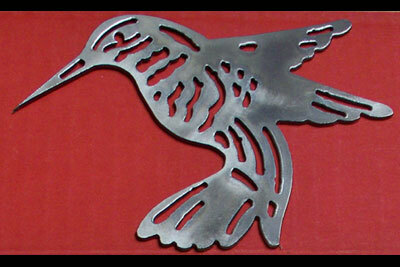 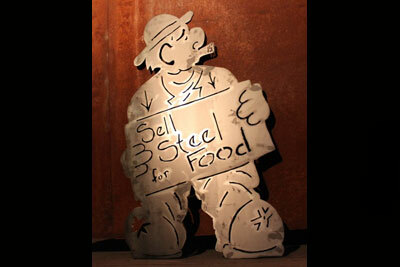 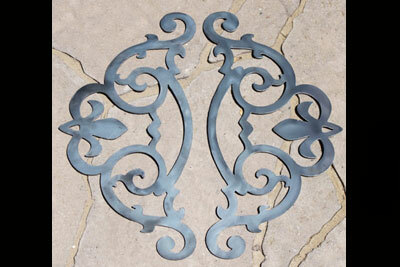 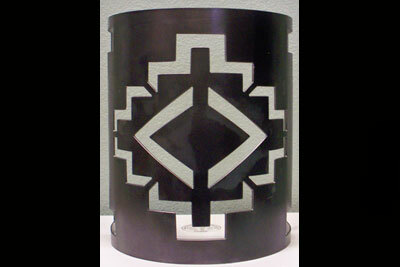 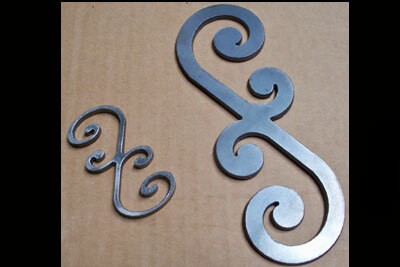 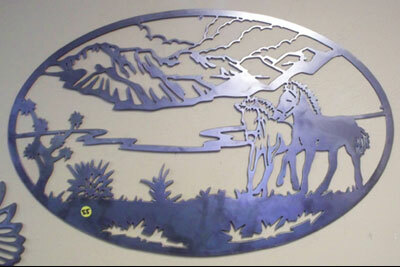 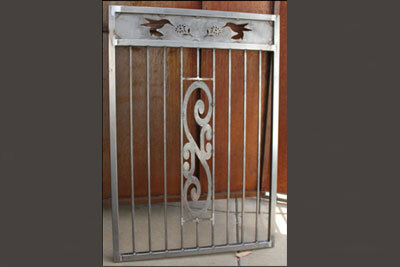 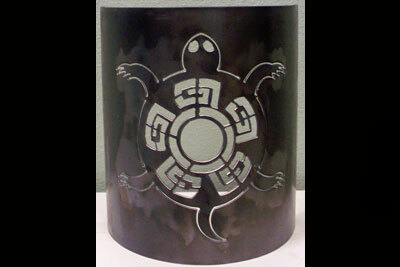 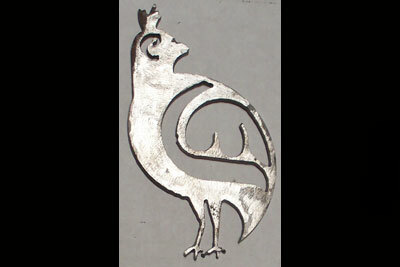 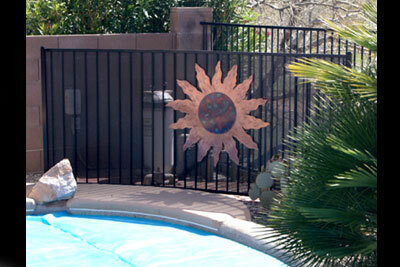 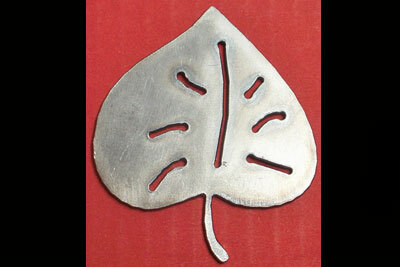 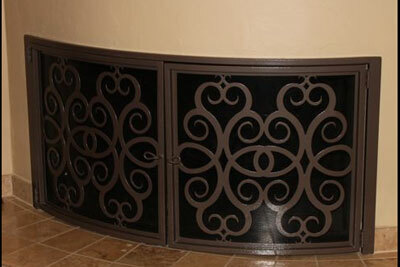 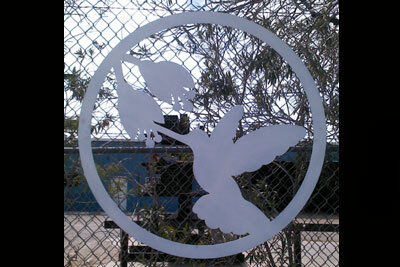 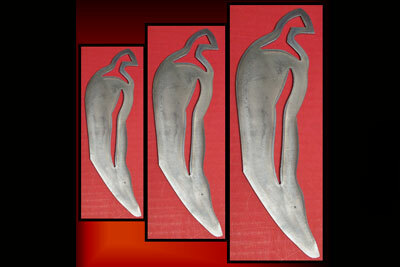 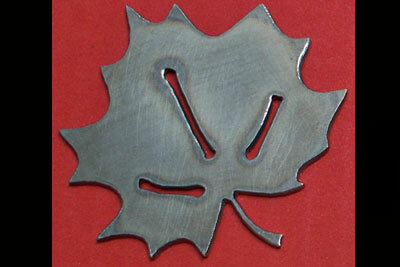 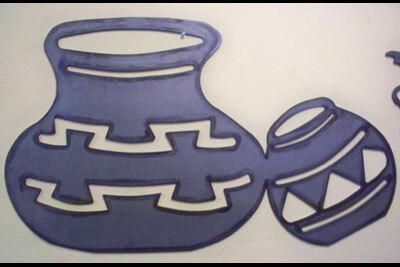 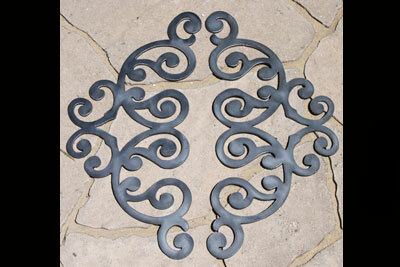 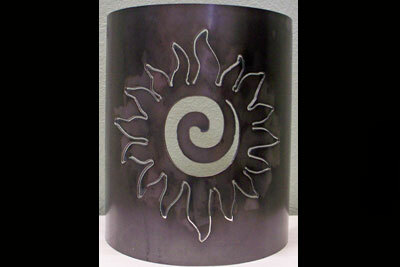 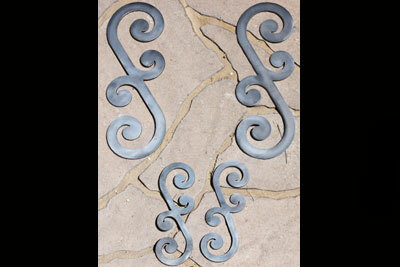 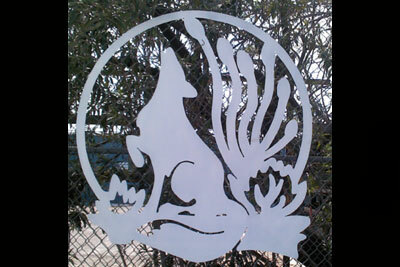 Santa Rita Steel cuts designs of all sizes and for all purposes. 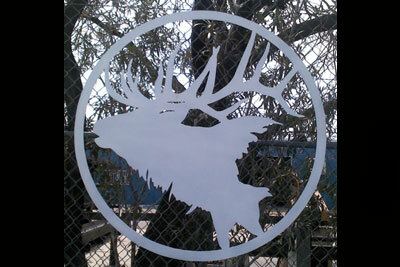 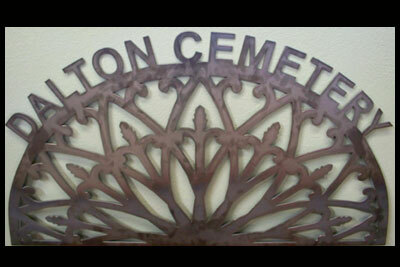 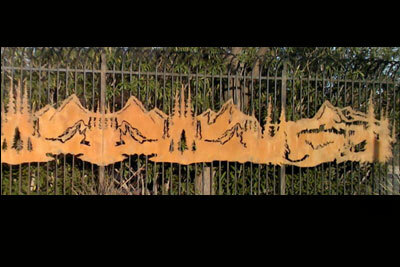 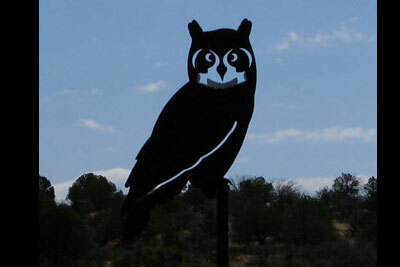 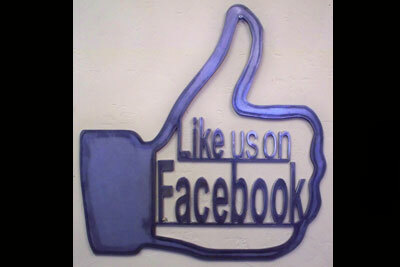 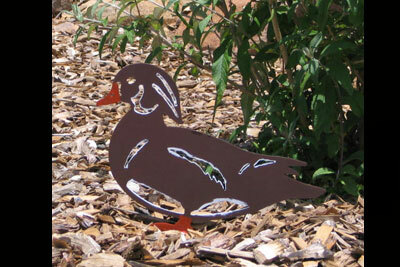 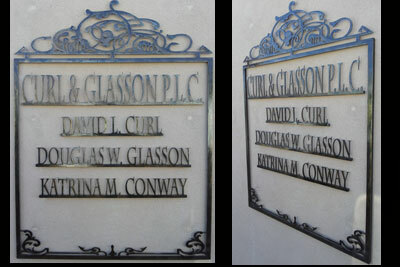 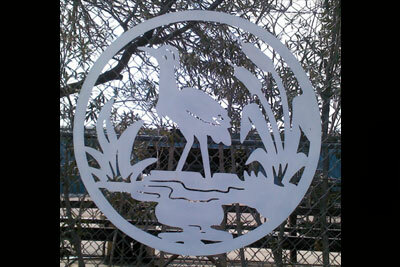 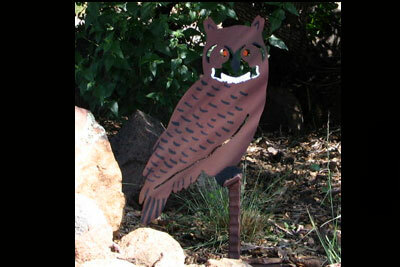 Come see us and find or design the sign or decoration you need. 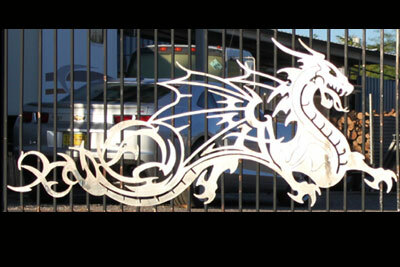 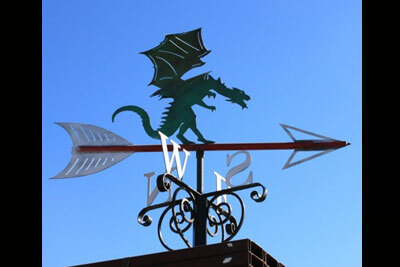 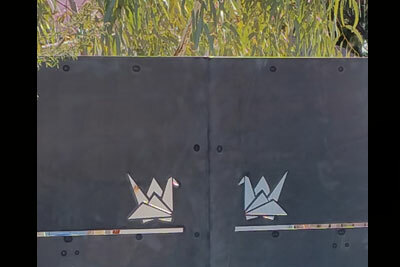 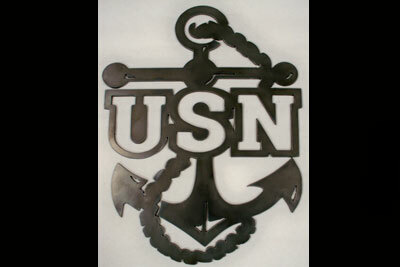 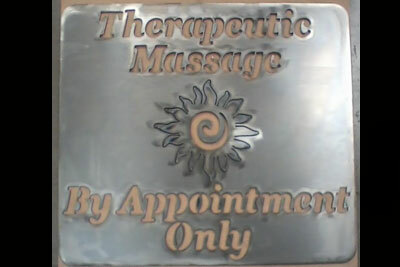 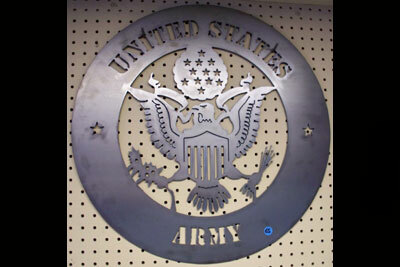 We have designs ready for purchase and use, or find a design you like, or make your own design - the most popular, long-lasting signs for any home or business. 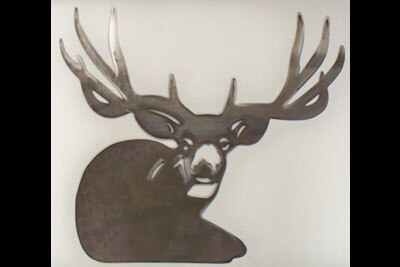 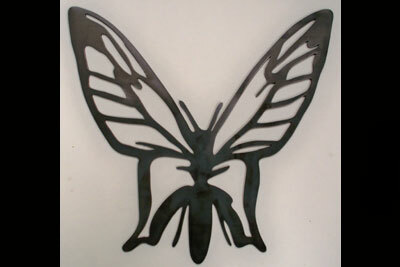 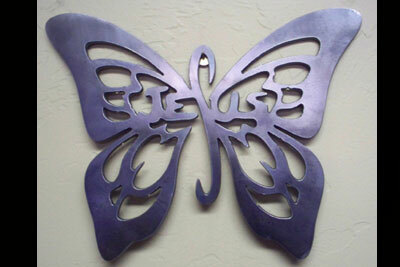 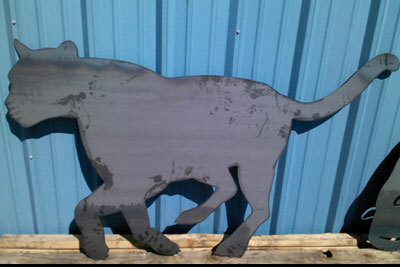 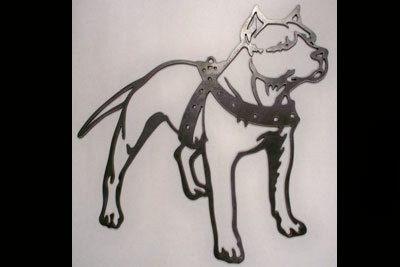 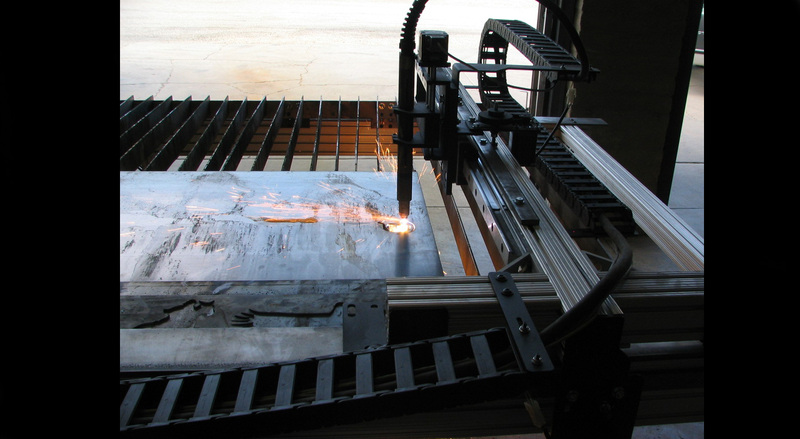 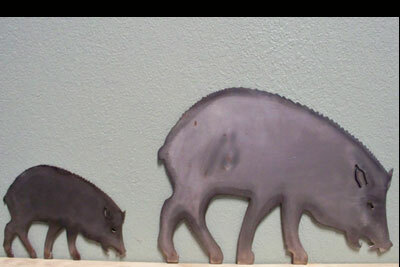 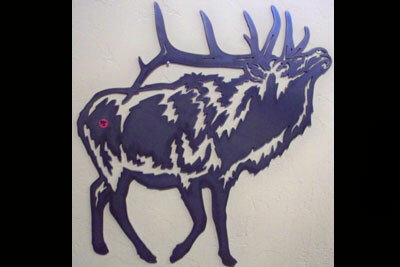 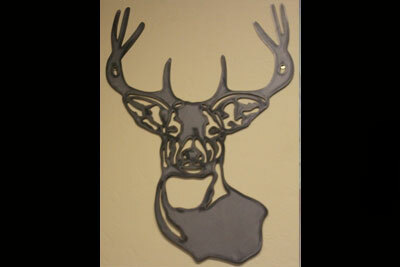 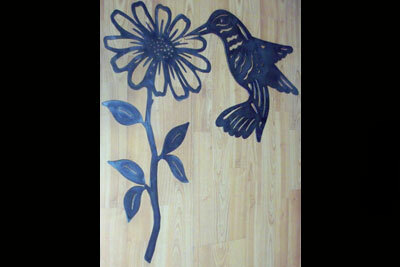 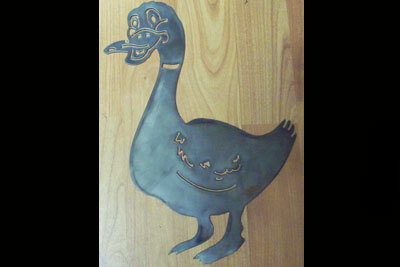 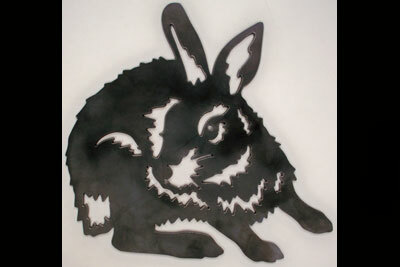 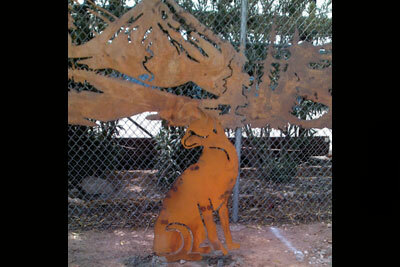 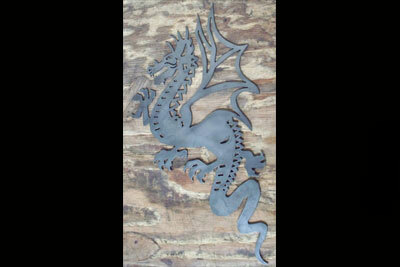 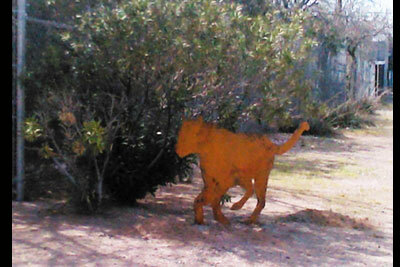 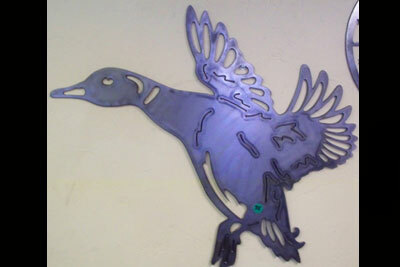 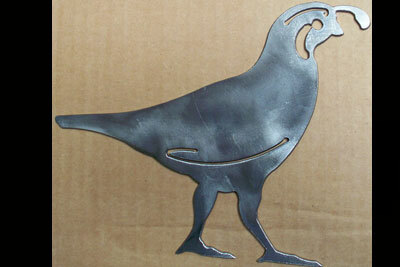 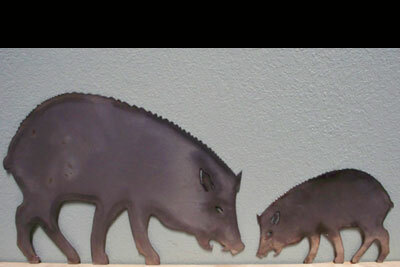 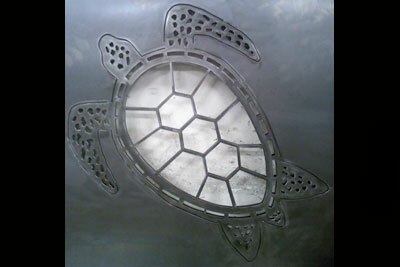 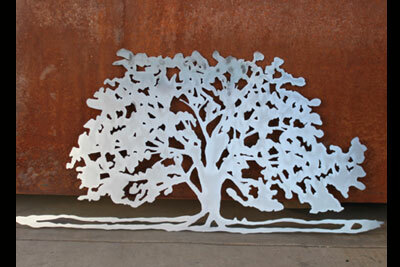 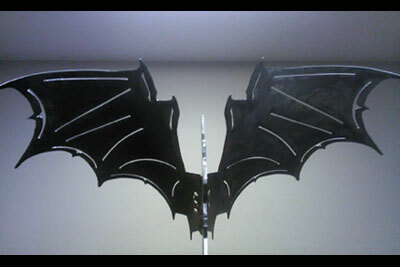 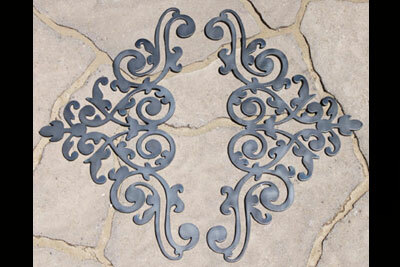 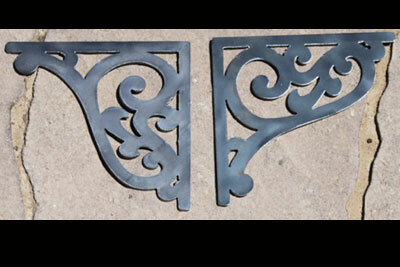 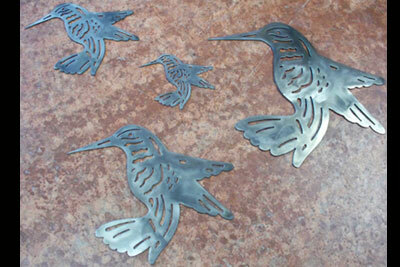 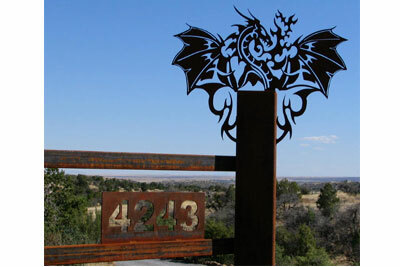 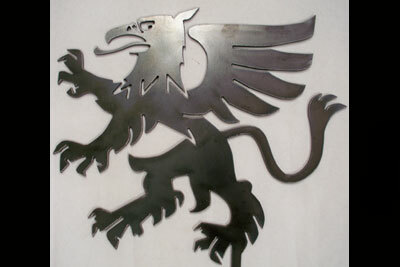 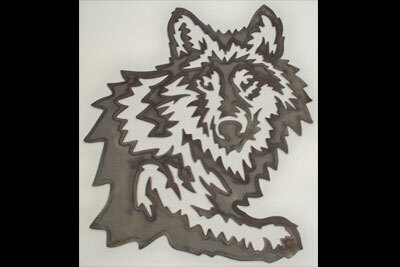 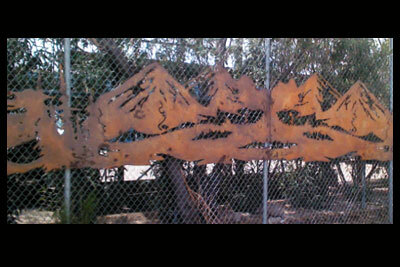 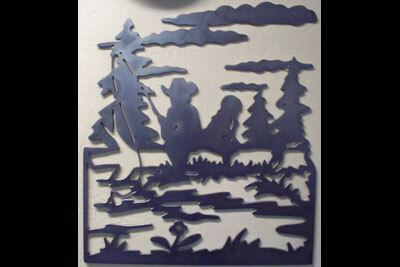 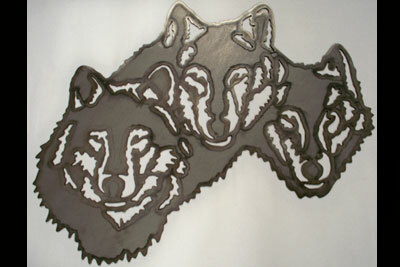 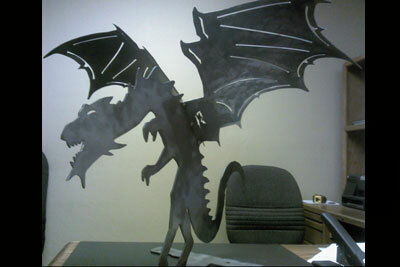 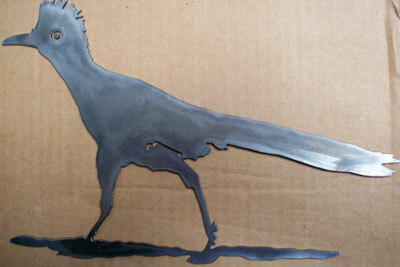 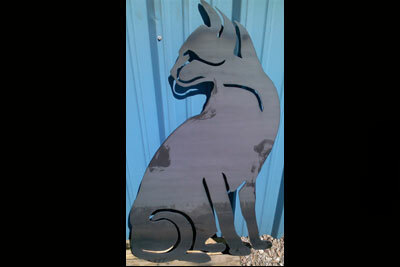 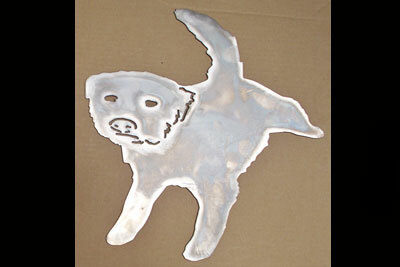 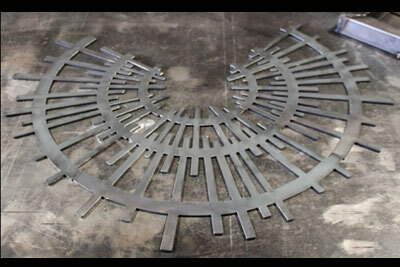 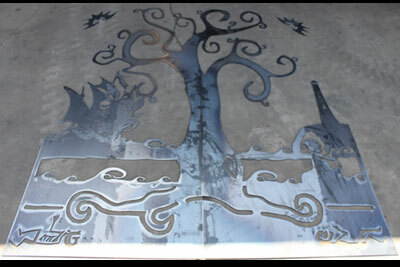 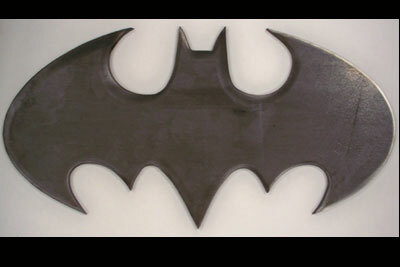 What is Plasma Cutting? 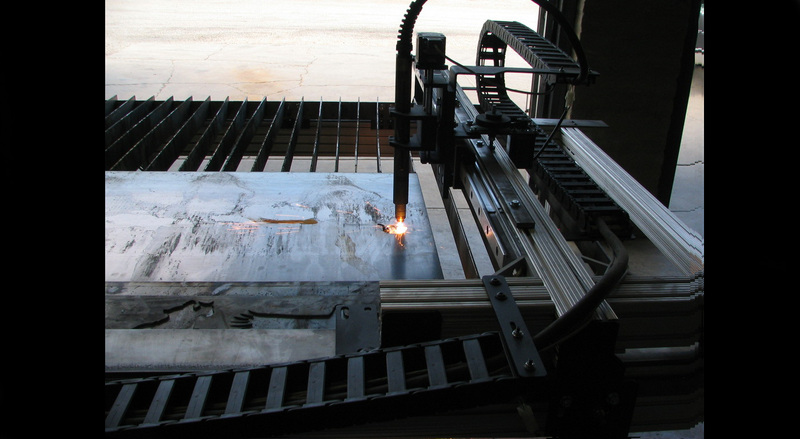 Plasma cutting is a process that cuts through electrically conductive materials by means of an accelerated jet of hot plasma. 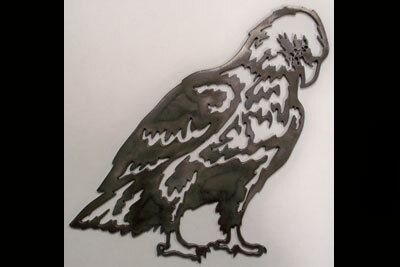 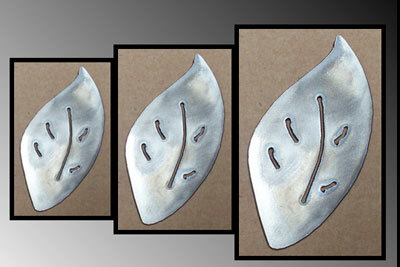 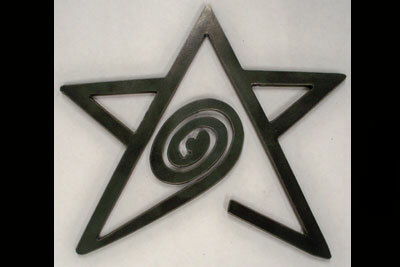 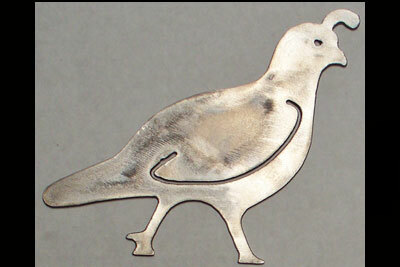 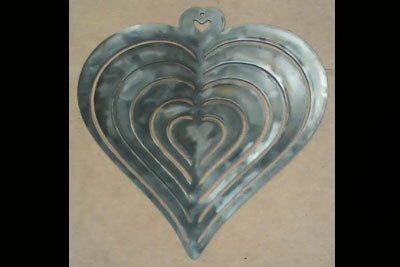 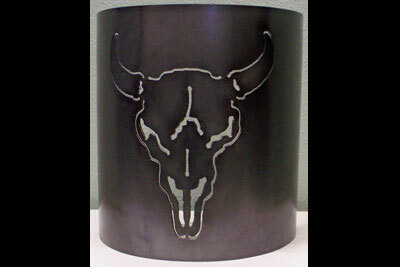 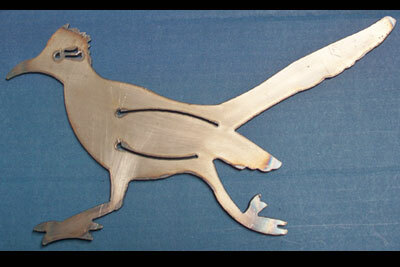 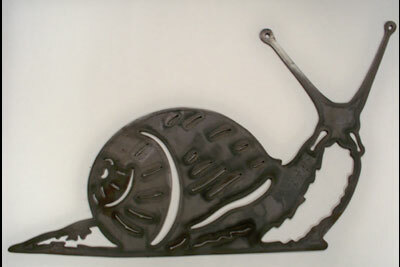 Typical materials cut with a plasma torch include steel, Stainless steel, aluminum, brass and copper, although other conductive metals may be cut as well.